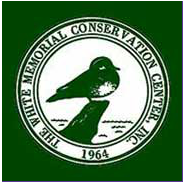 Museum Passes are provided for your family’s enjoyment by the East Granby Public Library, the Roy/Fournier Memorial Fund and the East Granby Women’s Club. Passes may be checked out for a two day period. Reserving ahead of time is advisable. There is a late fee of $1.00 a day for unreturned passes. In the event of a lost pass, the patron will be responsible for the full purchase price of a replacement. This cost can range from $25 to $250. Beginning in 2018, CT residents will no longer be required to pay a parking fee at CT State Parks and Forest recreation areas. The pass can be used to cover the admission fee for 2 adults and 4 children at exhibit centers at Dinosaur State Park, Fort Trumbell, & Gillette Castle State Park.